Jannis and his mom were excellent hosts. We felt their kindness and helpfulness all the time. The apartment were clean and tidy with an excellent view to the sea. It was ideal for us to stay at Knossos Apartment as it is close to the city but calm and silent at nights so we could rest between our daily trips of discovering Crete. I had a fabulous holiday. Gorgeous location, peaceful, the Appartments had everything I needed, but most of all, Yianni and his mum were lovely, kind, attentive, and nothing was too much trouble. They keep the place spotless. Amazing value for money. Can't wait to visit again. Yannis was so nice to us! The place was super comfortable, clean and with an awesome sea view. Very private, super recommended! Amazing - the owners are incredible, the apts are clean and perfect for cooking light meals and hanging out and reading after a long lazy day by the pool. The place is simple and luxurious in its simplicity - i loved every single day I spent here. It's a real treasure. We were made very welcome, the owner even collected us from the bus stop when we had arrived. We had a sea view from the balcony. 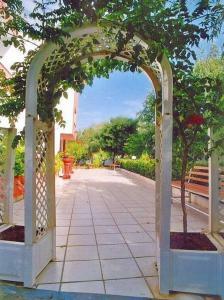 Beautifully maintained gardens surrounded the pool. Everyone was very professional. 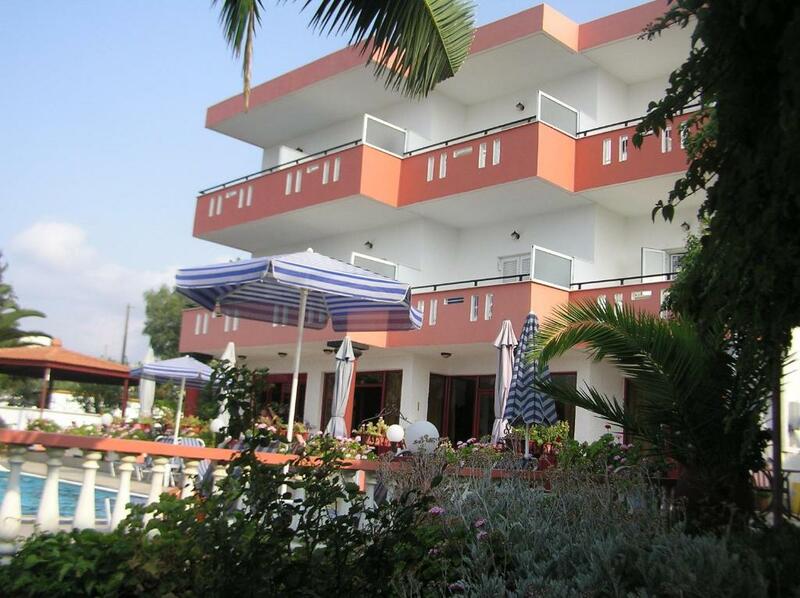 The place is kept tidy all the time, we had fresh sheets and towels changed frequently. Our son felt safe to became better swimmer in the pool where he also learned how to dive. 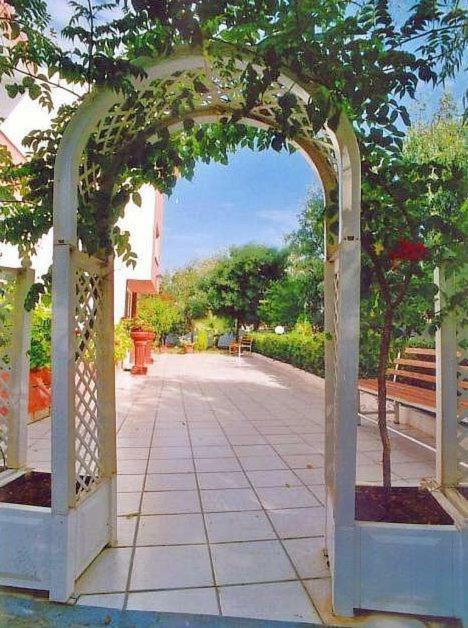 would warmly recommend Knossos apartments to everyone. The owners Yiannis and his Mum were amazingly friendly and helpful. Considering the mega heatwave the room was quite cool, most probably due to not sun drenched all day. 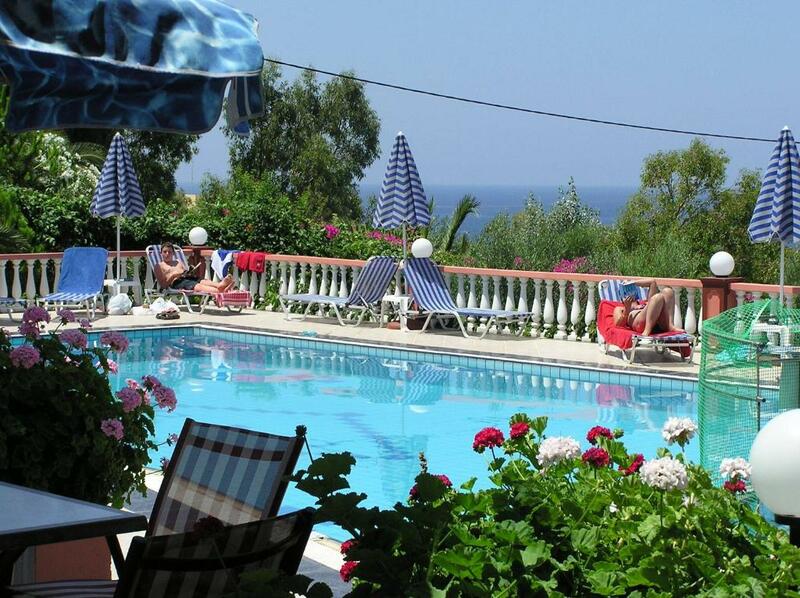 The pool, bar and lounge areas were all very well kept and a pleasure to be in, especially as the property is surrounded by trees and flowers. Although near a busy road, you couldn't see it from anywhere on the property and has a great view over the sea from the pool and balcony's. My Sister and I only stayed one day and night, but would definitely recommend staying here for a week or so and would stay again if in the area. Every single thing was just perfect. Not enough words to describe Yani's and his mother kindness. Thank you for making our vacation more beautifull. :) Igor and Nikola (Serbia). Η πισίνα καί ο γύρω χώρος πολύ όμορφα τακτοποιημένος καί φροντισμένος. Επίσης η φιλική αντιμετώπιση από τους ιδιοκτήτες καί η καλή τους διάθεση. Lock in a great price for Knossos – rated 9.4 by recent guests! 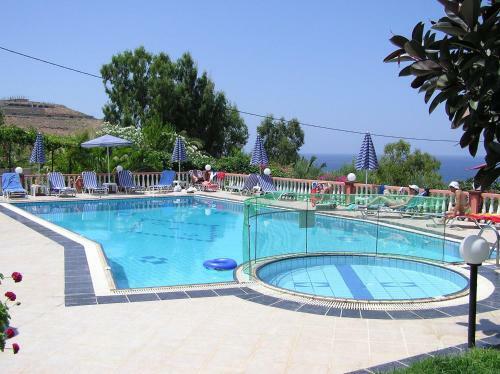 Within a 10-minute walk from the center of Panormos village, Knossos is set amid lush greenery and has a pool with sun terrace overlooking the Cretan Sea. 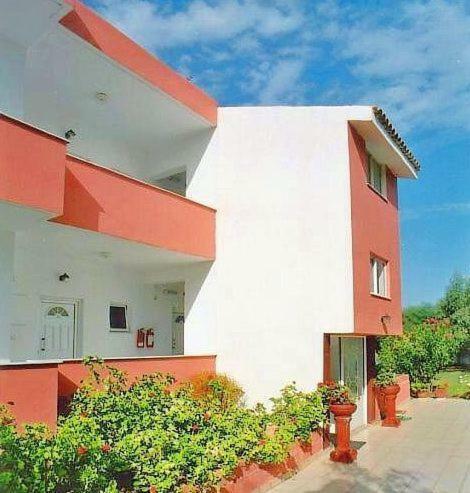 It offers studios and rooms with free WiFi and a furnished balcony. 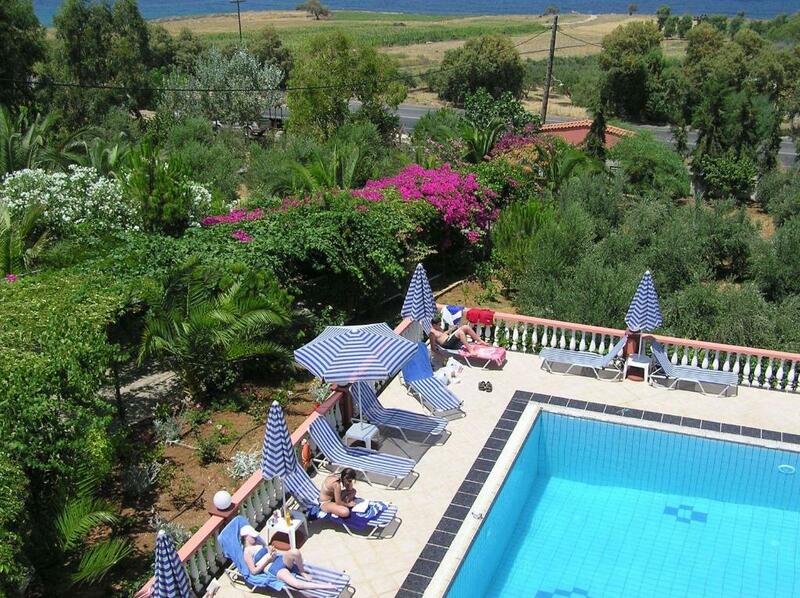 Knossos studios enjoy views over the pool and the sea. They come with a kitchenette equipped with mini fridge, electric kettle and coffee maker. All units also include a satellite TV and private bathroom with shower. Guests can enjoy their coffee, drink or snack at the lovely terrace of the bar by the pool. Continental breakfast is prepared in the morning. Super markets, fish taverns and bars can be reached within walking distance. The town of Rethymno is 14 mi away, while the beach of Bali is at 7.5 mi. Free private on-site parking is provided. 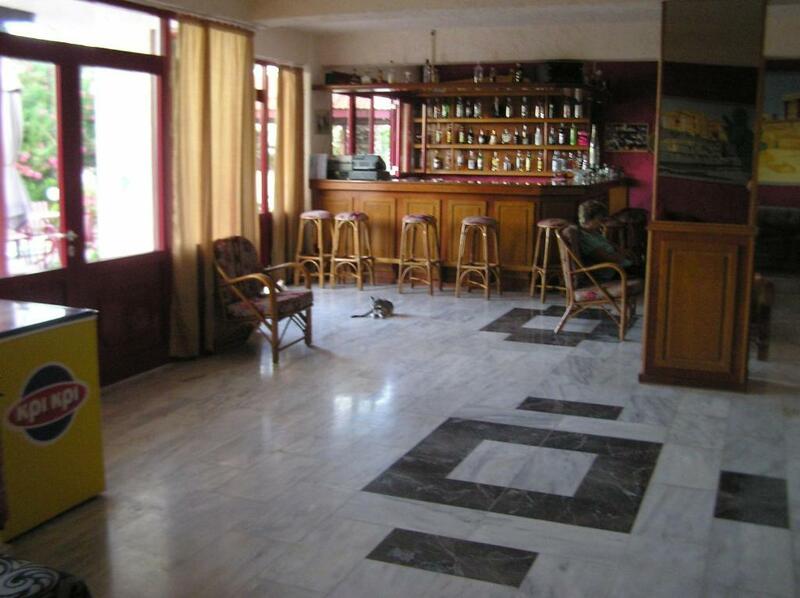 When would you like to stay at Knossos? Overlooking the Cretan Sea and the pool from its balcony, this studio comes with a kitchenette with kitchenware and free Wi-Fi. 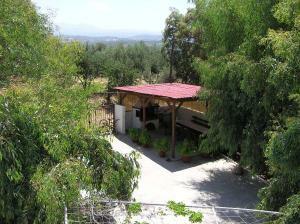 Overlooking the Cretan Sea from its balcony, this room comes with cooking rings, mini fridge and free WiFi. House Rules Knossos takes special requests – add in the next step! Free! One child from 2 to 16 years stays free of charge when using existing beds. Nothing - i hated that i had to leave!